Moving into a new home can be quite challenging. Whether you are moving the old sofas and kitchen utensils, or you’re buying everything anew, managing space can be quite demanding. Asides making the home more pleasant, adequate space in the home can promote ventilation and a healthy lifestyle. Here are a few tips to help on saving space in your home. As typical Africans, we tend to store up old and used materials around the house. Old newspapers, unwanted CD cases, broken mugs and torn table mats. To create more space around the house, we need to get rid of all these items. Do you want to know how to determine what items you need to get rid of? Ask yourself these questions: Can I do without this? Is this useful? Do I use it for the purpose to which it was designed? If you answered No to at least 2 of these questions, it needs to go in the trash! You can even make a few bucks by selling those old newspaper and irons. Going minimal with your house designs is the new cool. This does not just save space but makes the house quite beautiful. You know what they say; less is more. 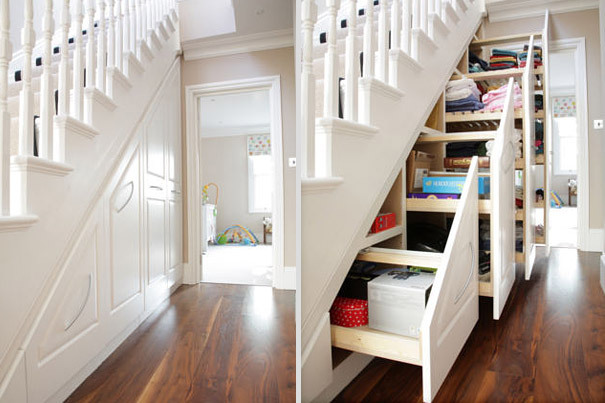 This is a great way to save space in your home. Beds with drawers, Stairways with bookshelves, bunk beds, draw out/foldable ironing boards. 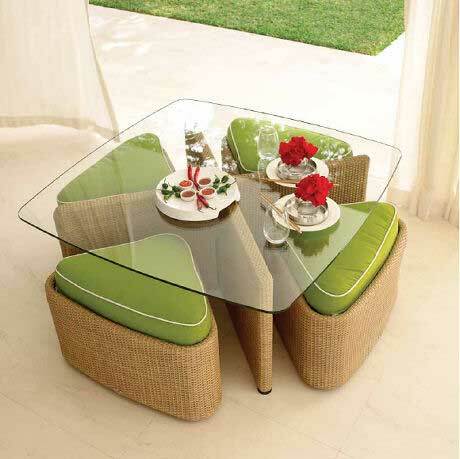 There are several affordable and creative multi-functional furniture available in furniture stores around Nigeria. One way to get open storage that’s also visually appealing is by using unusual and creative items as storage containers. Things such as baskets mounted on the wall are like functional works of art—and they’re cheap to boot. Floors, ceiling cabinets, ceiling hangers, roof storage, there are just a few of the many ways to use up all the space available. They do not even have to appear clustered. Ceiling hangers are very good for kitchen utensils. 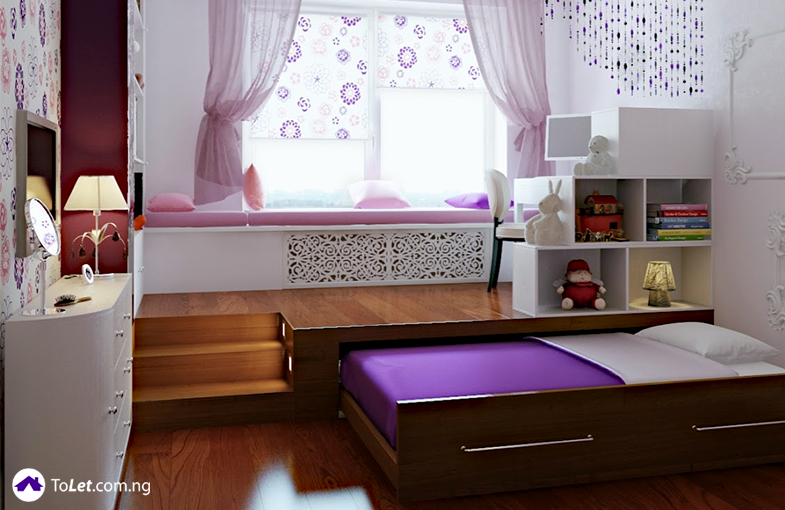 The space under the beds can be used to store shoes and toys. You see houses these days with very high ceilings, and this space is totally unaccounted for! You can have those paintings taking up all the wall space, over at the stairs. Technology has come a long way over the last several years. Keeping current with the latest advances is not only a great way to save space in your home; it’s an effective method for greening up your home. New designs for home appliances, such as washers, dryers, refrigerators, bathroom fixtures and water heaters, use less energy and water and take up less room in your home. To save space, use stack able appliances where possible. We even have energy saving air conditioners available for sale. These are great ways to not only save space in and around the house but to also make the home even more beautiful while creating a healthier environment.